We are now in the season of plenty for football fans. Saturdays are filled with college games, Sundays with professional matches. Add to this the scattered games on Mondays, Thursdays, and Fridays, and there is more football on television than anyone can possibly watch. 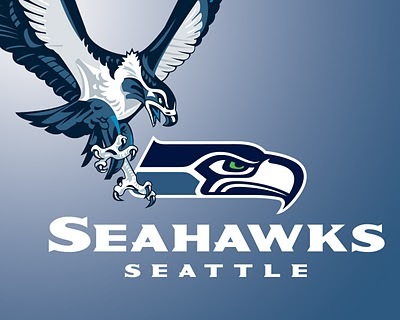 Tonight, my Seahawks will be taking on one of the best teams in the past couple of years, the Green Bay Packers. It will be an exciting game in Seattle, probably seeing Packer Quarterback Aaron Rogers on the turf quite a few times. The technology of high definition, extremely slow motion replay of the action from multiple cameras has brought something out that has been festering for many years: the mistakes made by officials. Right now the NFL is having a strike or lockout or something that means the games are being officiated by inferior replacement officials. Mistakes on the field are glaring, sometimes corrected by the replay officials. I was particularly struck yesterday by a play with Drew Brees of the New Orleans Saints who was caught in his end zone trying to stretch the ball across the goal line to avoid a safety. He fumbled, and the Kansas City Chiefs’ defensive player should have been allowed to pick up the ball and fall forward for a touchdown. But an untimely whistle called the play dead somewhere between Brees beginning to be tackled and his fumble. Replays showed he clearly was not down when he fumbled, but the whistle stopped play after the fumble, and the defensive players stopped on what would have been a turnover and score. Anyone who thinks that officiating has no impact on a game, whether football, basketball, or baseball, is just being naive. When I used to help with college athletics, we joked that some schools we played always used the same refs, two guys named Homer. There were schools we played that we knew would have a ten-point advantage on their home court because of their hometown officials. All of this makes it puzzling to me that the NFL and NCAA seem intent on quashing criticism of officiating. Last week, a letter from the NFL office was circulated to say that criticism of the officials would not be tolerated on the field or after the games. This message also was received by the broadcasters, whose commentators seemed to be biting their tongues. These guys, often former coaches or players, found indirect ways to point out the bad calls. In the Saints/Chiefs game, they made the point that in five plays the ruling on the field had been overturned by the replay booth. They wanted to say, “At least they got it right, and that is all that matters,” but this rang hollowly, because I wondered how many other calls had been bungled and not overturned. And no one wants to wait for replay officials to determine every play. Stifling dissent never works for long, and is always a power play that reveals deeper problems. In the case of the NFL, just get the regular refs back on the field. They were bad enough! Just ask Erickson or Holmgren! And may the Seahawks not get jobbed again tonight. Go Hawks! This entry was posted in Leadership and tagged Criticism, Football Officials, NFL. Bookmark the permalink.